These are the instructions to root LG G Flex Sprint LS996-ZV6 or LS996-ZV7 running Android 5.1 Lollipop or Android 5.0 Lollipop. The handset originally came with Android 5.0 our of the box and was later updated to Android 5.1 Lollipop. You should find this method works for either software updates. 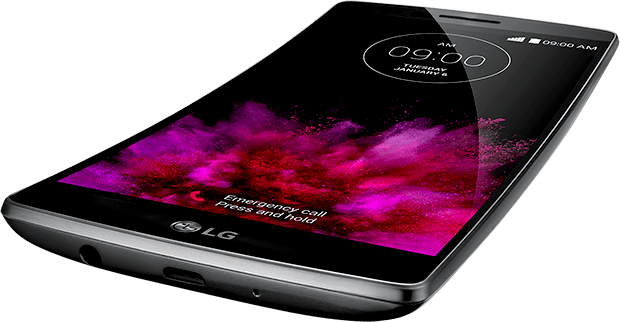 The following guide works for the two Sprint variants of the LG G Flex 2 smartphone only. This is not made for the original first-Gen G Flex device. Those with the first-generation handset can click here . Download the LG USB Drivers on your computer  so the smartphone can talk to your computer and complete the task without any worries. Make sure you have the Developers Options unlocked. You may check that by heading to the Settings and look to see if you can see any Developer Options menu there. If not, head to the About Device menu from the Settings and tap over the build number 7 or 8 times until it says you are now a developer. Unlock the USB Debugging Option from the Developer Options menu. Point your device to the Menu > Settings > Developer Options > check the box that says USB Debugging. Now you can exit the Developer Options menu and it will remember your preferences. Download the rooting image for the ZV6  or the ZV7  variant of the LG G Flex 2 smartphone. Download the rooting file from here . Extract both of the above packages on your computer. Connect the LG G Flex 2 handset to the computer with the USB cable. Transfer the rootedsystem.image file from the desktop to the devices internal storage SD card. Unplug it from the computer and turn it off. Reboot holding the Volume Up button only and connecting it to the computer at the same time (no Power button yet). Double-click on the ports.bat file that’s also on your desktop. Write down the number of your COM port, i.e. COM1, COM2, COM3 or COM4. From the desktop, hold down the Shift key and right-click the mouse to bring up a new menu. Choose to “open the command prompt Window here” from that new menu. – replace the “your-COM” for your COM port number. Press the Enter / return key to confirm that command. Wait for your device to reboot and it will boot back up in the normal mode with root access. Now you are ready to install the apps you couldn’t before from the Google Play Store.